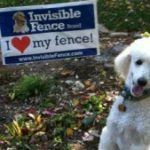 Invisible Fence® Brand of the Tri-States is focused on you, the customer. Our business is located near La Crosse Wisconsin and designed to provide you and your pet with a convenient and professional experience from your purchase through your training. We work in a consultative environment to ensure that each customer receives an Invisible Fence Brand system that meets their individual needs and we continue to support each customer into the future creating a lifetime of value. Invisible Fence Brand of the Tri-States hires and trains professionals who care about pets and about making sure that our customers have all of the information necessary to make an educated decision about keeping their pets safe at home. For over 33 years, The Invisible Fence Brand has combined advanced technology, professional installation and support, and customized pet training to keep your pet safe at home while promoting exercise and play. And, with the strongest product warranties and performance guarantees in the industry, your pet can run, jump and play and you can rest assured that your pet is safe. That’s total peace of mind. That is the Invisible Fence Brand. If you are thinking of a dog fence, think Tri-States Invisible Fence Brand. Invisible Fence Brand was founded by Richard Peck in 1973. Richard, an avid dog lover, was dismayed at the number of pets he would see along the roadside hurt or killed by passing cars. Knowing that our furry friends need their daily exercise to remain healthy, he resolved to find a way to enable pet owners to keep their dogs and cats safe without constant monitoring by their owners. After some investigation and extensive, thorough testing, Richard developed the Invisible Fence Brand system. The result was and still is today a unique combination of advanced technology, individualized pet training and professional support that happily reports a 99.5% success rate at keeping pets safe at home. 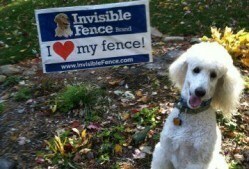 If you are thinking of a dog fence, think Tri-States Invisible Fence Brand.